PREORDER CLOSED! 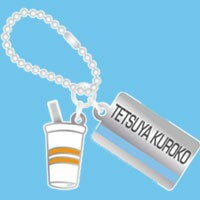 PLEASE REFER TO THE MAIN SALES PAGES TO BUY!!! 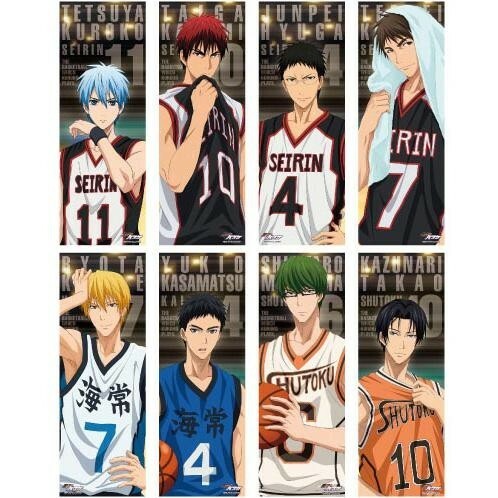 There are these cool stick posters of KuroBasu coming out in July, so most likely I will receive them in August if I do receive them~ it'll be about $10 per stick poster, let me know I'd you're interested~ The accessories will also be released inJuly, and it'll be about $12 a piece~~ If I get enough requests then I'll order! 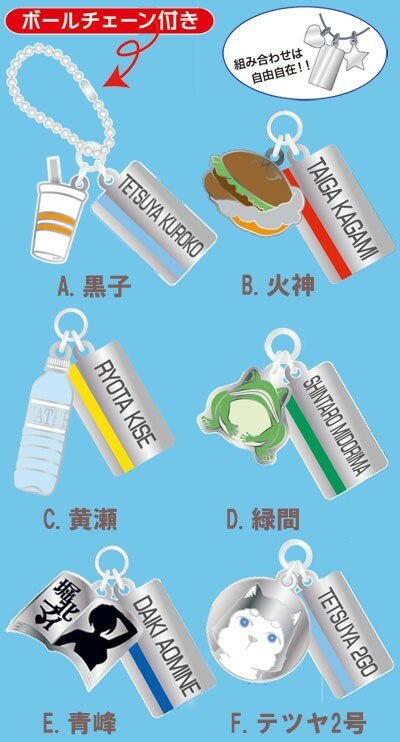 Linna-chan, I would like to have Kise & Water Bottle and Aomine & Romance Novel. 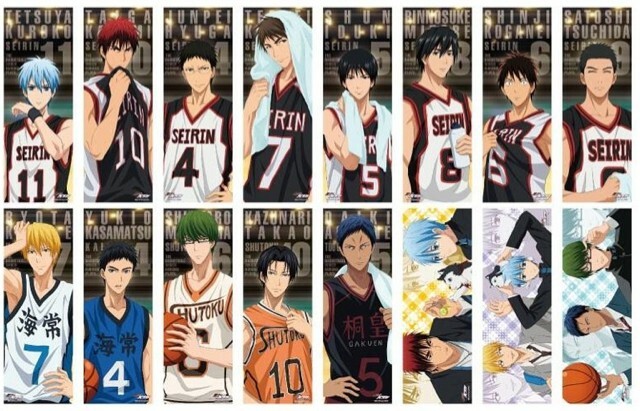 I would be interested in the Kise, Midorima, Izuki, and Takao posters. Thank you very much! Hey hey!!! These posters will be here around early next week!!! Ummmm, hehe, is that too early just after you sold your soul this week? Ummm... Are you just planning on getting one of each item? If not, I'm really interested in the Kise poster!